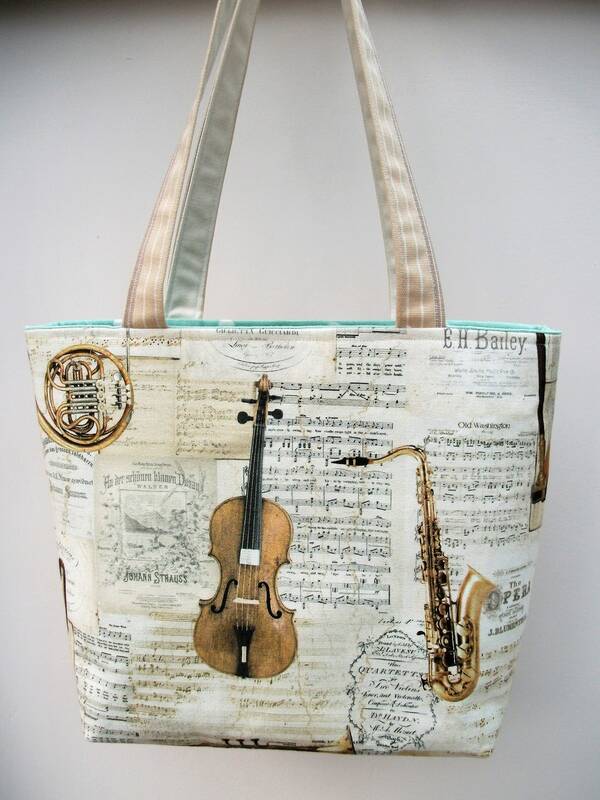 Here is a fabulous eye-catching,small, tote bag made from a beautiful music themed fabric with a soft velvety feel. 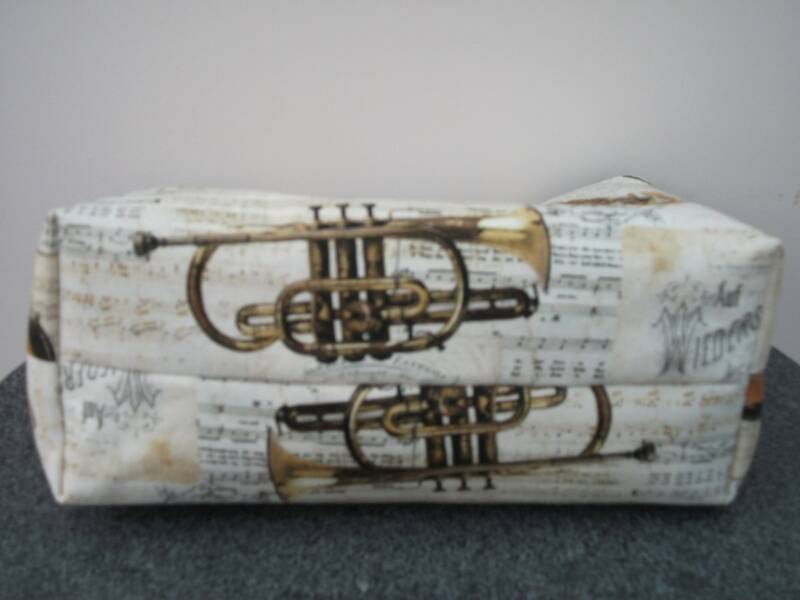 Here a violin is the main pattern focus, but the fabric also has images of sheet music along with harps, French Horns, Saxophones and trumpets. 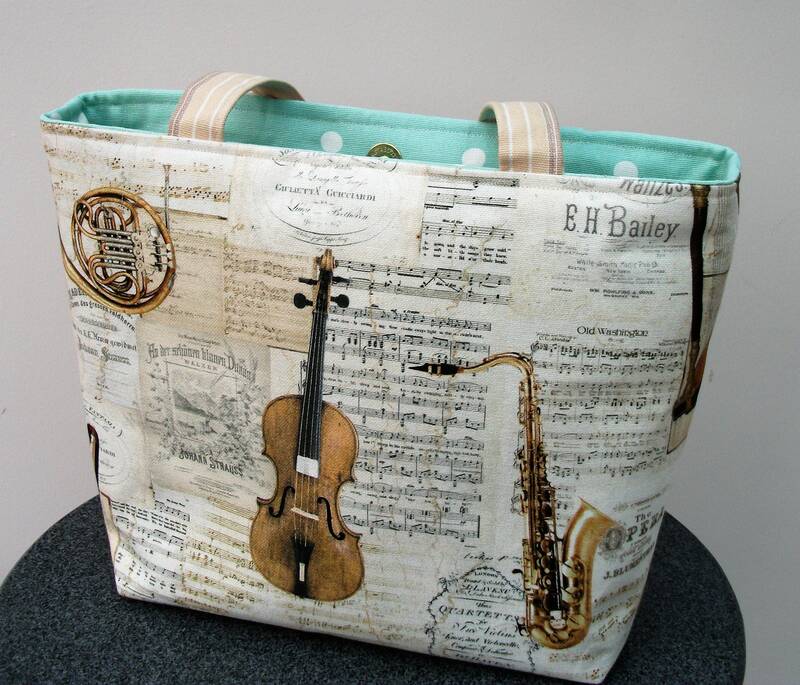 Some of the sheet music features Johann Strauss' "Blue Danube Waltz"- hence, the name of this particular bag ! 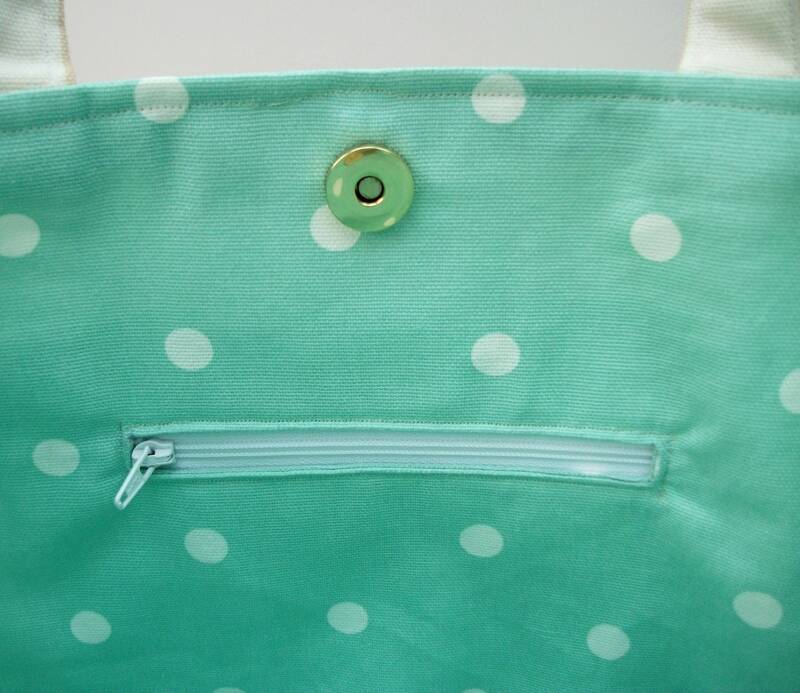 It is lined with a light mint-green spotty high quality cotton lining fabric and interlined with interfacing to give the bag strength and body. 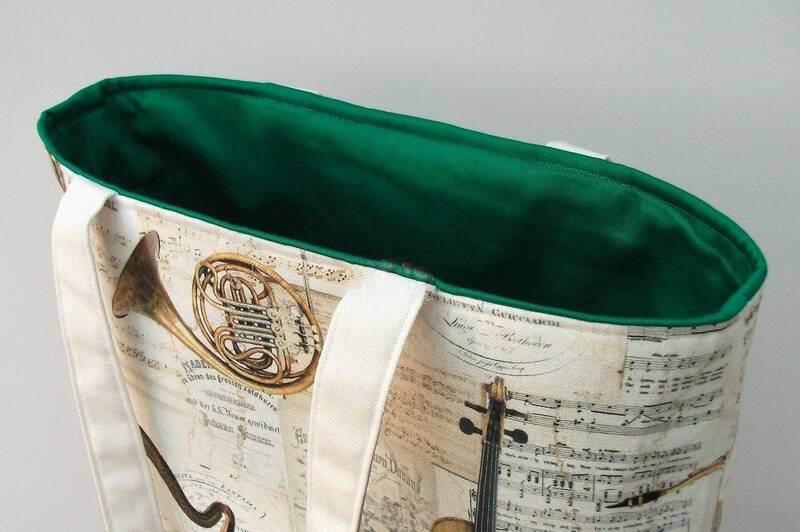 The handles are also hand made from quadruple thickness of cotton fabric and then triple stitched to the main body of the bag. 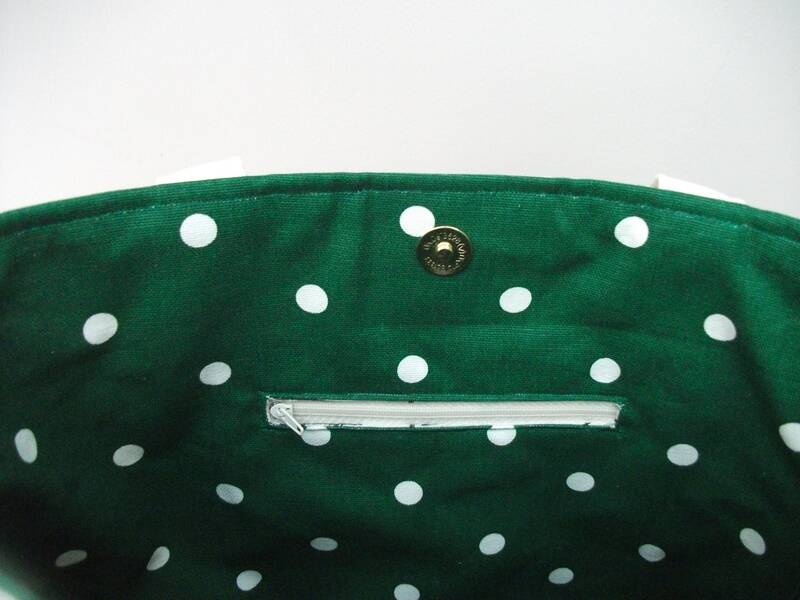 There alternative colours for linings- a lovely rose pink with spots, dark green with spots or plain green. Please mark choice at check-out. 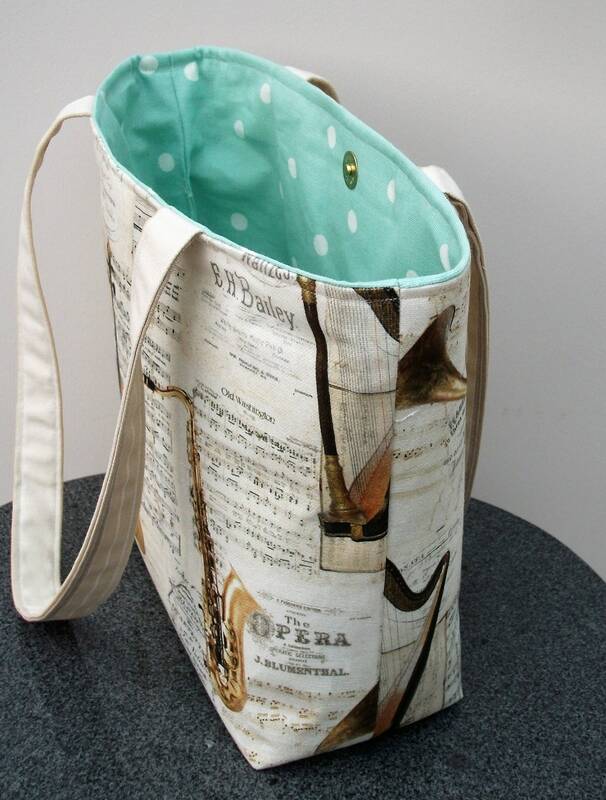 The bag is finished with a magnetic closure to fasten the top of the bag and stop items dropping out. 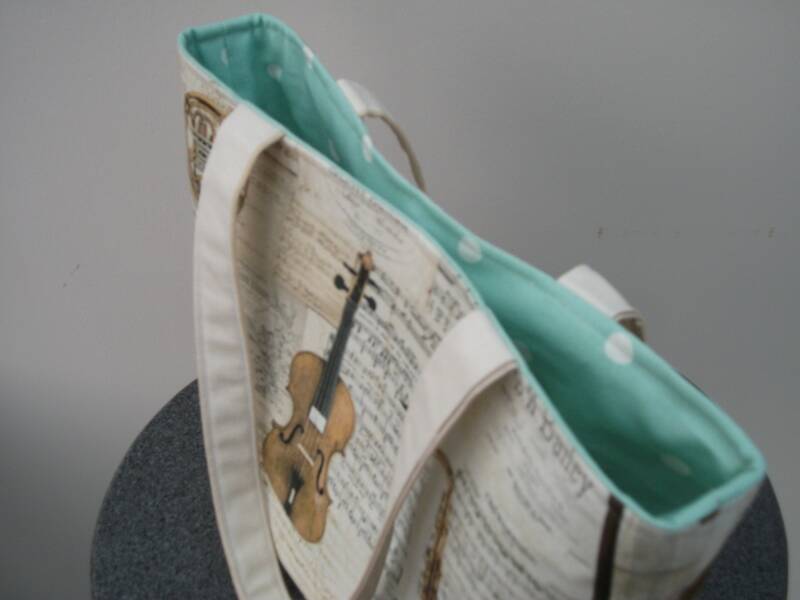 Altogether this is a gorgeous little bag which can be used as a book bag, a music bag, a project bag for craft items or as a unique shoulder bag/purse. 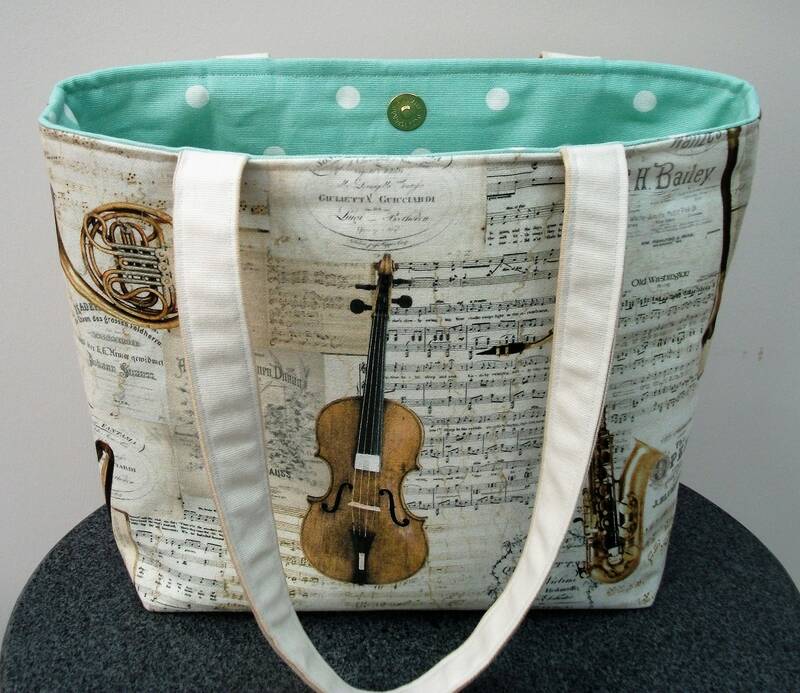 It would make a great gift for a violinist or any music lover.